As the issues with the environment continue to grow, cities around the world are beginning to implement bans on internal combustion engines. This means that older cars and classics will now be confined to a garage or showroom instead of being enjoyed from the driver's seat. 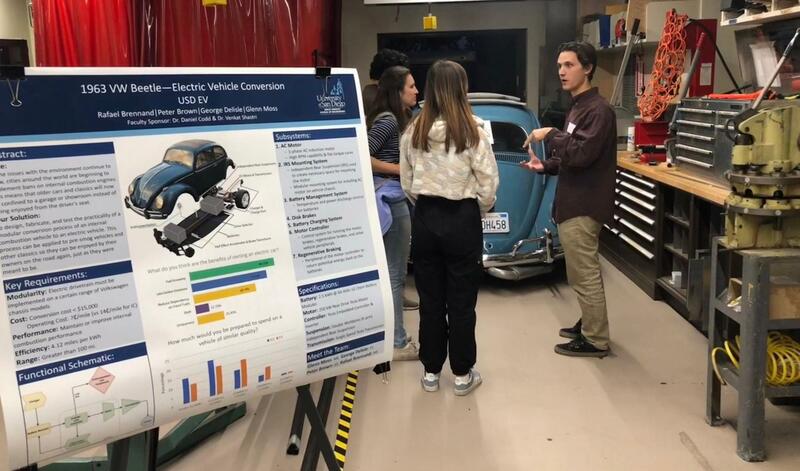 To design, fabricate, and test the practicality of a modular conversion process of an internal combustion vehicle to an electric vehicle. 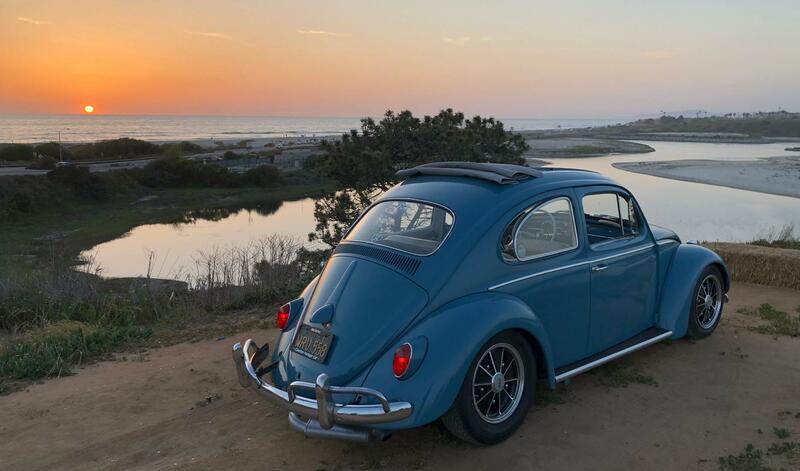 This process can be applied to pre-smog vehicles and other classics so they can be enjoyed by their owners on the road again, just as they were meant to be. We are a group of two electrical engineers and two mechanical engineers that are currently developing our final designs and prototypes before building commences next semester. Support of our project is greatly appreciated and we will update this page with the latest pictures of our progress! We are a group of two electrical engineers and two mechanical engineers that are currently developing our final designs and prototypes for our senior design project at the University of San Diego. 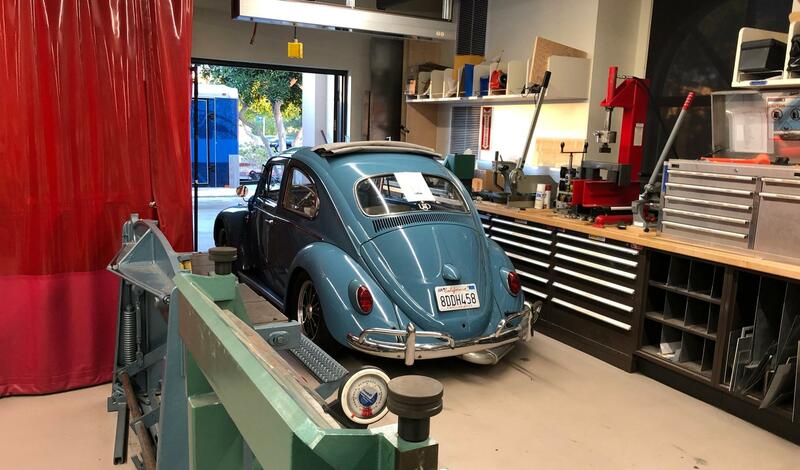 Our goal is to create a modular and manufacturable electric conversion kit for a specific range of classic Volkswagen vehicles using a new approach compared to previous conversions. The funding we receive from the school will not cover the entire cost of this ambitious project and we need your support to bring our ideas to life! 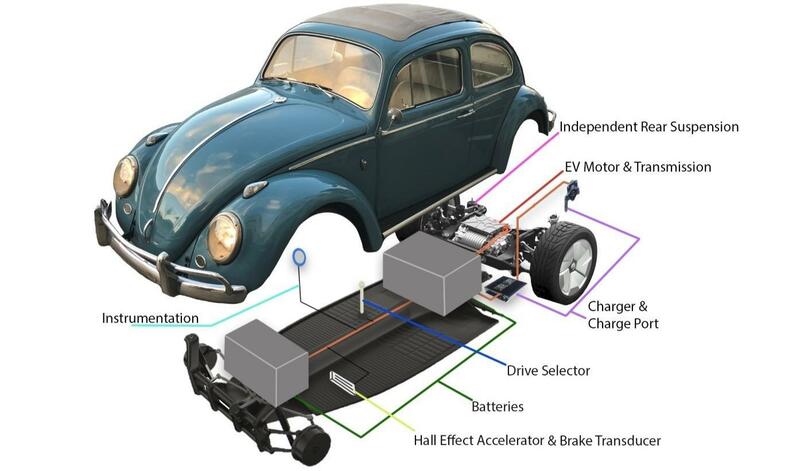 Our project requires several sub-assemblies that can be installed for a car to be converted to electric with no destructive modification to the original vehicle. Please consider supporting our project. We need your support to bring our ideas to life. We will be applying for Shiley-Marcos School of Engineering Renaissance Initiative funding which is not to exceed a total of $4,000 and we have also applied for funding for an Academic Research Grant which we will hopefully hear back about soon. This funding, however, will not be enough to cover all our desired components. 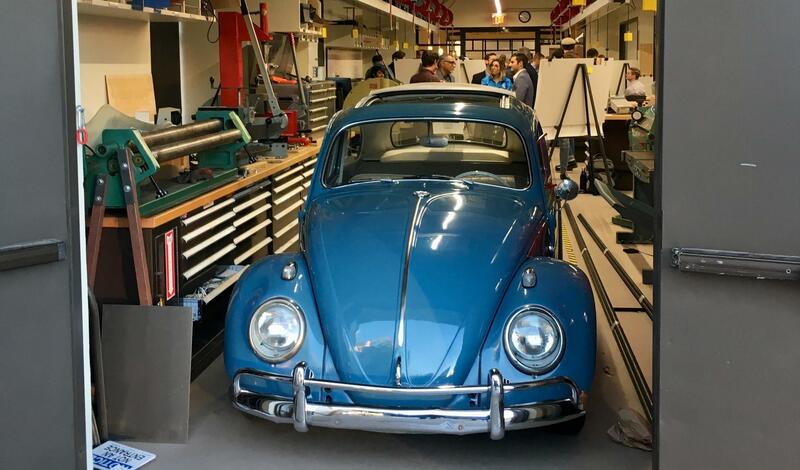 Our project will require $13,000 to successfully build and implement our motor mount, battery boxes, rear suspension, control systems, instrumentation, and battery management. If you have the means, we would appreciate your donation, large or small.